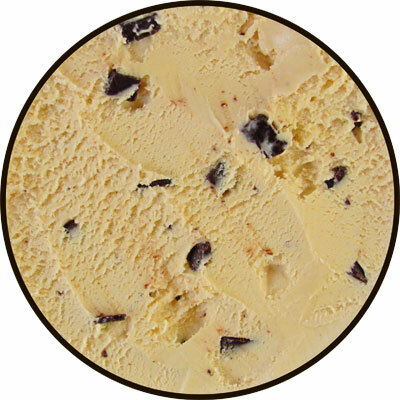 [By Nick, Only for 2014-2015] Along with their Tiramisu, I also grabbed the new Haagen-Dazs Caramelized Banana Chip gelato at the store. 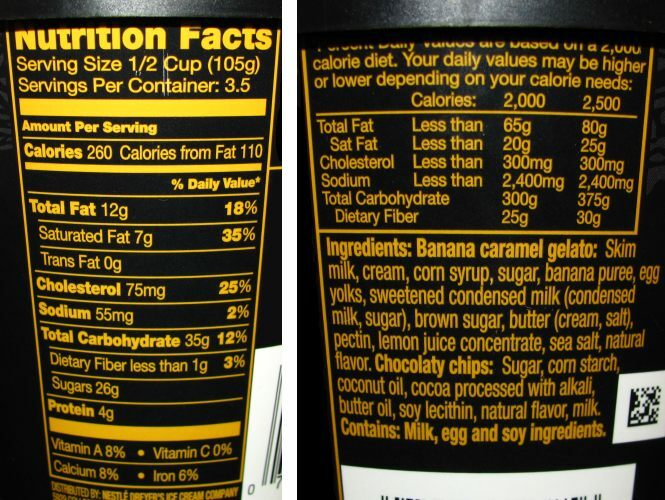 We all know my feelings towards banana flavors but a quick refresher won’t hurt. Unlike Dubba, I actually enjoy them but they’re really hit or miss with me. I did not like Talenti’s version one bit but I recently reviewed Stewart’s Monkey Business over at Junk Food Guy and found myself with a new favorite banana flavor. There’s just a fine line when it comes to replicating the taste of a banana and some companies are better than others. Haagen-Dazs was able to take the throne from my favorite coffee flavor, let’s see if they can do the same with the newly crowned Monkey Business. We’re off to a good start. Surprises when it comes to a visual of a dessert aren’t always a good thing *cough* Friendly’s RVC *cough* but I like what I’m seeing here. The caramel color is a nice change of pace and I love the abundance of the chocolate chocolaty chips. I’m use to there being some sort of a banana aroma, be it natural or artificial coming from these flavor but nothing is really registering. 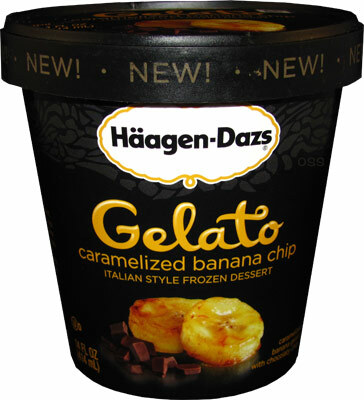 Just like Talenti, the banana flavor is way too ripe for me. To be honest, it’s actually worse here. It’s supposed to taste like a caramelized banana but all I’m getting is the flavor of a banana that was forgotten about. At least Talenti uses real chocolate and has swirls of caramel to soften the blow. Here all you have are chocolaty chips that add a nice crunch but that’s about it for positive. They’re waxy in texture and even worse, their flavor is completely flat. If there’s one good thing going for this product, the texture is once again an improvement from their original launch. However, that’s nowhere near enough to save this one. 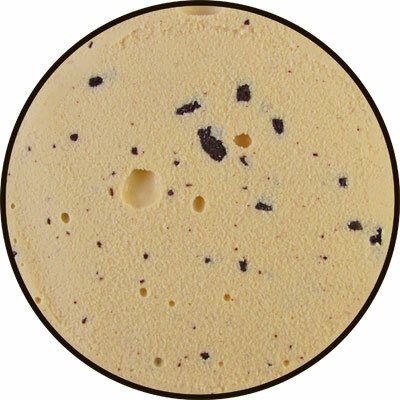 I know a lot of you enjoyed Talenti’s version and will probably like this one. For me, I’ll just stick with Stewart’s for my banana fix. Verdict? Why does banana gelato always taste over ripe? Buy Again? Not a chance.